The Zimbabwe Teachers' Association (Zimta) and the Progressive Teachers' Union of Zimbabwe (PTUZ), which had insisted on their members going on strike despite other teachers' unions calling off job action to give dialogue a chance following a raft of measures by Government, have finally called an end to the labour stand-off. The two unions are now urging their members to return to work starting today. Primary and Secondary Education Minister Professor Paul Mavima yesterday met the teachers' unions and reiterated Government's commitment to improving the lives of teachers and implementing non-monetary initiatives, most of which have been in the pipeline for a long time. Addressing a press conference after yesterday's meeting -- an extended dialogue from last Friday -- Zimta national president Mr Richard Gundane said they had called for an industrial action which commenced on February 5 demanding a review the conditions of employment for their members. "Noting that the strike was a success and having been joined by over 80 percent of our members across the country. Realising that the impact of the strike has invited reactions and responses from two arms of the State, that is the Executive and the Legislature . . .
"Committed to ensuring the delivery of quality public education as well as the need to have dignified remuneration and better lives for our members and their families. . .
"Reserving the right to regroup, re-strategise, engage and prepare for other disabling and extensive forms of industrial action should our members needs remain unattended. We, therefore, we declare that; the industrial action which commenced on the 5th of February 2019 is hereby suspended. "Our members who were on industrial action must therefore report for work commencing Monday the 11th of February 2019 and wait for further commands and direction and fully operational by Tuesday the 2th of February 2019. Our members will remain vigilant, active, mobilising and defensive of their constitutional given rights for the furtherance of their welfare and professional needs," said Mr Gundane. He added: "The employer is thus advised to take advantage of this détente to introspect and come up with well thought-out, meaningful and long lasting solutions on the salaries grievances or risk similar of more dislocating and disabling collective labour actions in accordance with the laws of the land." PTUZ secretary-general Mr Raymond Majongwe said: "I think it is with a heavy heart that the teachers unions have conceded to taking this position of suspending the strike but nonetheless we are happy on two fronts, that there is positive and active engagement that involves the Ministry of Education led by Professor Mavima as well as the Public Service Commission. "Underscoring the most important point that there is going to be an urgent meeting between the teachers unions as well as the Public Service Commission and other Government bodies and entities to try and find a quick solution to the challenges that the teachers are facing." He said the reality on the ground was that teachers were raising pertinent issues of incapacitation, poverty and salaries. Mr Majongwe said the teachers were determined to serve their country, their children and the nation. Prof Mavima said he appreciated the very positive position that was taken by the teachers unions, to suspend the strike which was affecting learners in primary and secondary schools. "I would also want to commend the unions for accepting the open door policy that we have had and are engaging Government. Basically, the Ministry of Primary and Secondary Education, the Public Service Commission, the Ministry of Labour and Social Services say; 'let's find common ground' and I am glad that we are finding common ground," he said. Prof Mavima also confirmed that this engagement will continue this week and will possibly settle issues that the teaching fraternity was concerned about in a bid to find a lasting solution. "The teachers' unions have asked for Monday to be the travelling date for those members who may have left their stations but let me also say that for those who were at their stations, I appeal that even that Monday, they should just go to work and make sure that our children are learning. "We expect Tuesday to be a very normal day as far as teaching and learning is concerned. Let me take this opportunity to also appeal to the nation to facilitate the smooth return to work for our teachers. It involves everyone in this country to take this appeal very seriously. Even those transporters, if approached, please give consideration for either reduced fares or even non-payment for the teachers who are going back to the stations," he said. He appealed to the nation and stakeholders to ensure that teachers were secure and safe as they perform an important national duty. 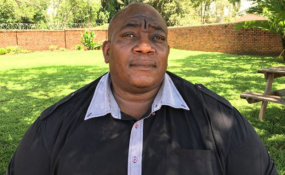 In an interview, the Zimbabwe national Teachers' Union (Zinatu) chief executive officer Mr Manuel Nyawo said they had been vindicated as a union on their clarion call and advice to their colleagues -- Zimta and PTUZ -- that the strike they had decided to call off yesterday was technically illegal. "We have been receiving a barrage of attacks and unnecessary onslaught by innocent members of the teaching fraternity on allegations of selling out, yet the truth was that dialogue with the employer had not been exhausted as Government's doors were and are still open for further and continuous negotiations. "In terms of rules of procedure, there had not been a duly signed deadlock between the workers' representatives and Government, making the strike technically offside. However, we wish to plead with Government to consider waiving its decision to punish all the teachers who took part in the illegal strike as they were being misinformed by their leaders. They say to err is human and we further plead that the employer should not apply the 'ignorance of the law is no defense concept'," said Mr Nyawo. Last week, Government committed itself to operationalising non-monetary incentives and economic initiatives for teachers, in a development that saw the majority of their representative unions calling off a strike. Non-monetary incentives and other hardship-alleviating initiatives are at the centre of President Mnangagwa's raft of measures to lessen the burden on Government workers in light of austerity measures being undertaken to achieve a long-term economic turnaround.